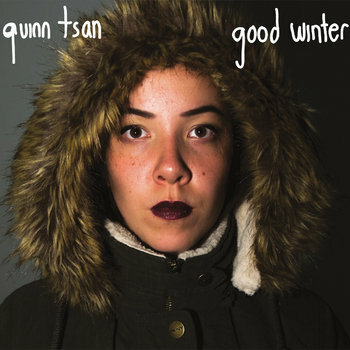 It might be a cliche, but the distinctive throaty timbre of Quinn Tsan's voice will make anyone stop in their tracks. Tsan sounds almost operatically trained, though according to her bio she spent most of her early life studying dance. She decided to switch to music, got a gig singing backup for Joe Pug, and the rest, as they say, is history. Each song on the album is a meditative microcosm. Each has a distinctive sound, though they fit together as a whole. Its muted tones are ideal for a winter's afternoon (preferably Sunday.) "Oh! The Places We'll See!" is my favorite on the album -- it's musically and lyrically inventive and displays the astonishing breadth of Tsan's imagination. If you're finding yourself discombobulated with the start of 2015, Good Winter will help you slow things down for a little while.